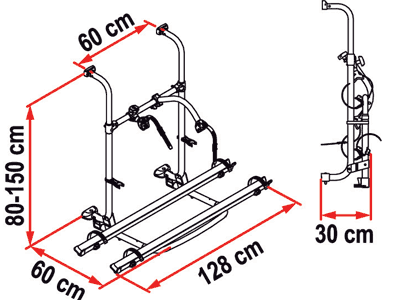 Highly adjustable, rear mounted bike rack for coach-built motorhomes which is adjustable for fittings spacings between 80cm and 150cm. 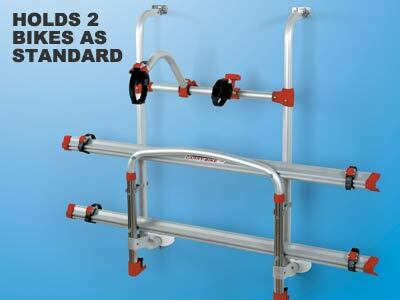 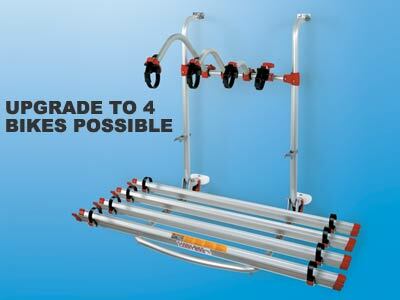 The Carry Bike Pro carries 2 bikes as standard but can be made to hold 3 or 4 bikes with optional upgrade kits. 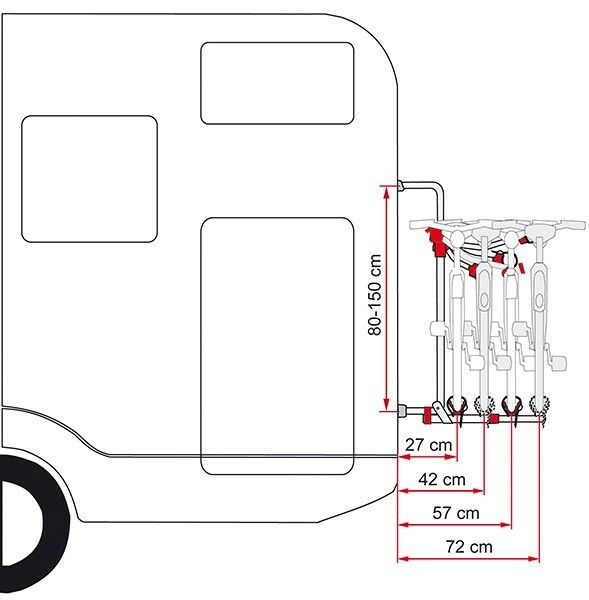 The bolt-through-wall installation makes the Fiamma Carry Bike Pro range suitable for motorhomes without pre-installed bike rack mounting brackets, and the bike rack comes with all required fixings and mountings. 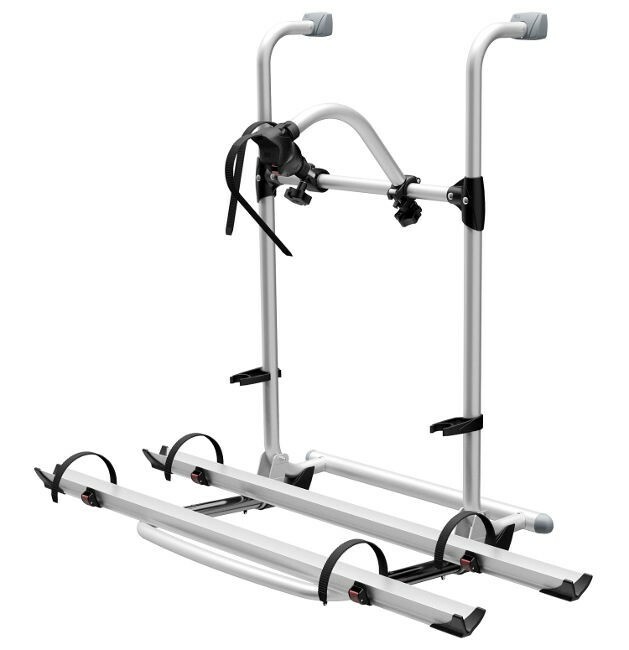 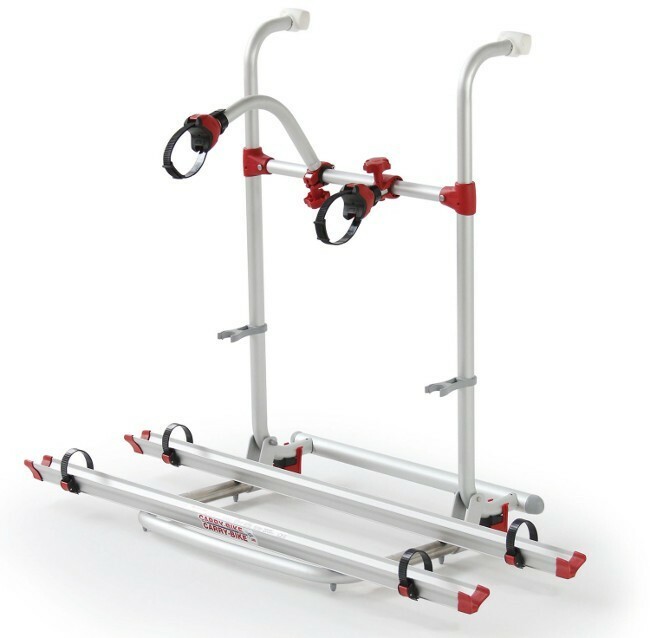 The tall and highly adjustable frame size of the Carry Bike Pro mean it is very stable and can be adjusted so installation brackets can be worked around almost any obstruction in the motorhome wall. 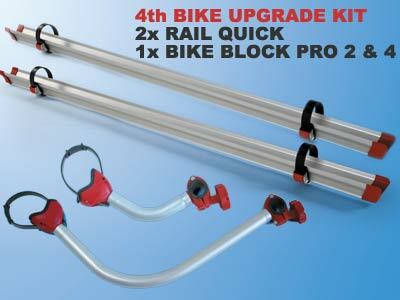 Carry Bike Pro bolts through the rear wall of the motorhome. 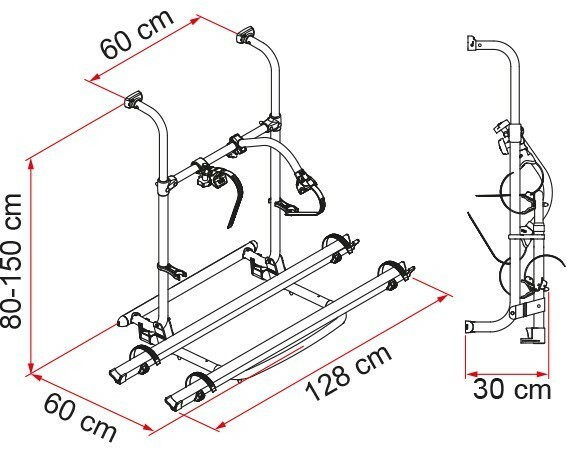 Pro model is for motorhomes where the mounting brackets have 60cm horizontal spacing, and vertical spacing between 80cm and 150cm. 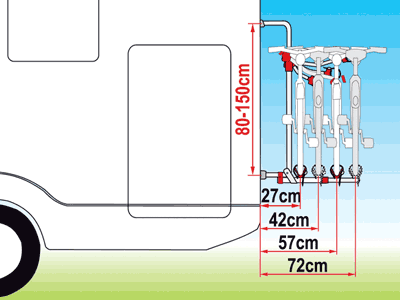 See diagram. 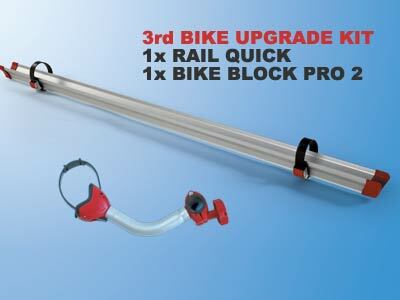 If you purchase the Carry Bike Pro for 3 or 4 bikes you will also be supplied with the following additional equipment.